When you arrive at Delta Force Paintball Newcastle, you will be greeted by one of our marshals. They will check in the group, and your registration forms will be processed (life hack: fill in your registration prior to arrival and save time!). Once your registration has been processed your team and yourself will pick up your equipment! Your equipment includes full head protection goggles, a combat suit, custom-designed body armour and an ammunition pack for your paintball pods. Once you’ve got your equipment, you’ll head through to Base Camp and suit up! 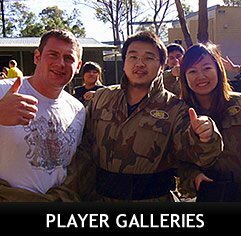 You’ll turn from average civilian to paintball warrior, ready for an epic day of paintball. Our Base Camp has all the necessities that will keep you fully armed and ready to battle. There is food and drinks available to purchase, as well as locker hire, extra ammo, and upgrades. After all, a paintball warrior needs the ammo to get the job done, right? Before the games begin, every player receives a health and safety speech, which will outline rules and regulations, and information on how to care for your equipment. After this, your team will proceed to the gun zone, where you will receive your 0.68 calibre Inferno Paintball Marker. You will be able to practice your aim in our practice range, and get your game face on. Once everyone is ready, your paintball goggles will get a final check and the games will begin! 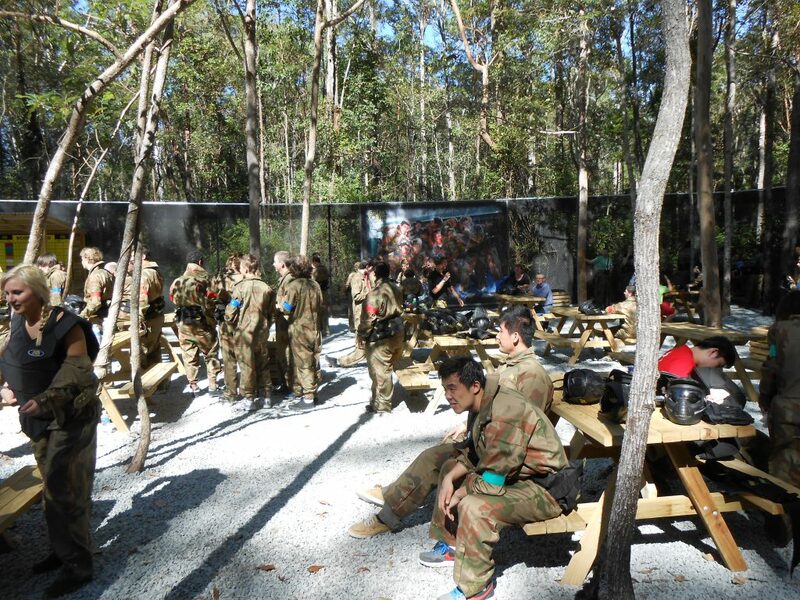 A full day of paintball action allows for 8-10 games in our fully immersive game zones. Here you will be transported to exotic jungles, deserts and warzones. These scenarios will test the skills of paintball pros and newbies alike! Being a paintball warrior is sweaty work, and you’ll certainly work up an appetite. Around 1.30pm there is a lunch break, where you can sit back in the game zone and relax. You can talk strategy and talk through a game plan for the coming battles. Our picnic areas are available to hang out, and you are more than welcome to bring your own food and soft drinks. After lunch you can head back into battle, or if you need to leave you are welcome to. When the game day is finally over, everyone will return to Base Camp where you will hand in your equipment, and become a regular civilian again. Game day ends around 4pm, and the Top Gun award gets announced. The day is officially over and you and your team are welcome to go home, happy and tired after an epic day of paintball.